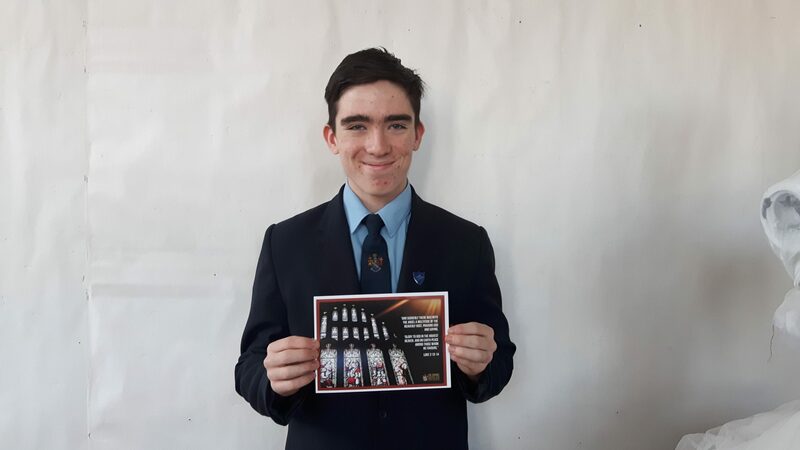 We are very proud of our budding photographer Year 9 student Jonah Holland, who has been busy taking photographs in various churches for our 2018 school Christmas card. The image that was chosen was taken at All Saints’ Church, in Daresbury. The school’s Graphic Designer, Miss Roberts commented: “Jonah has a good eye for detail and has captured a brilliant composition with great lighting; it really is a super photo. Jonah could go far with his photography.” Jonah has been presented with a pack of his own cards. Congratulations Jonah – and thank you!